The Kamchatka Peninsula extends like giant finger for almost 1300km south of the Russian mainland, dividing the Sea of Okhotsk from the Bering Sea and the Northern Pacific Ocean. The Peninsula, covering roughly the same area as Japan, but with only about 320,000 inhabitants, is remarkable for its diverse and abundant wildlife and marine life; and this varies greatly between its northern and southern regions. One of the world's most volcanic and geologically active regions, Kamchatka also fascinates on an ascetic level with its extreme natural beauty. Part of the Pacific 'Ring of Fire', Kamchatka is a region that has been formed by the vast tectonic movements of Pacific sea floor sliding beneath the Eurasian plate. This process is currently happening at around 8 cm a year - a process of causing massive ruptures in the earth crust and creating the volcanoes, geysers and boiling lakes that define the landscape of Kamchatka. There are 160 volcanoes running the length of the region. Some are dormant but many are active. 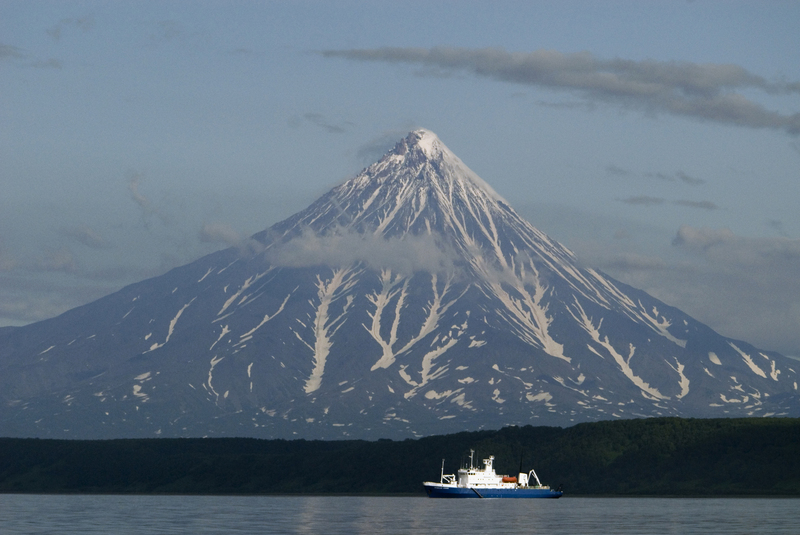 Many of the Peninsula's older, dormant volcanoes lie to the west of huge central valley through which the Kamchatka River flows, with the younger, still erupting peaks (29 still considered active) spread along the eastern seaboard. These peaks include Kluchevskoy, at 4,750m, the largest active volcano in Eurasia; the only active Geysers in Eurasia; and the snow capped peak of Kronotsky, considered by many to be one of the world's most beautiful volcanoes. 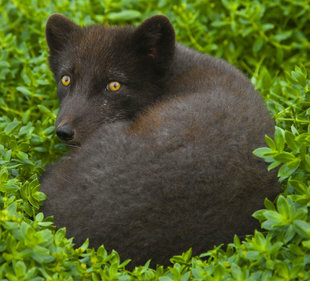 Combined with the Peninsula's incredible wildlife, this prompted UNESCO to group 6 protected areas as the 'Volcanoes of Kamchatka' World Heritage Site. 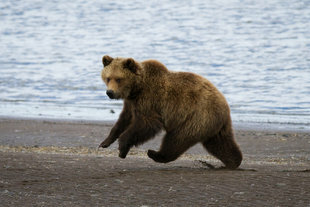 The huge Kronotsky Reserve, covering 13,000 km is one of Kamchatka's most outstanding reserves. Draped along the Pacific shoreline, the protected area takes rich forests, wetlands, 12 active volcanoes, 140 square kilometers of alpine glaciers and the remarkable Valley of Geyser. This valley is as its name suggests a landscape dominated by geysers, heated lakes, thermal vents and boiling mud pools rarely seen on such a scale. 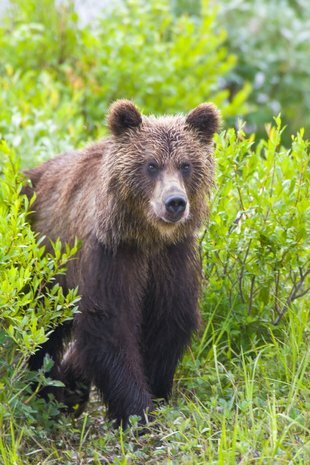 In summer the area is alive with wildflowers and forests which are home to Grizzly Bears and Steller's Sea Eagles. Wild Reindeer herds also survive here. 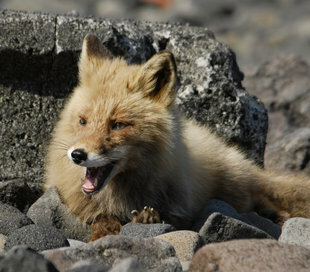 The southern end of Peninsula possesses one of the richest reserves for wildlife watching: the South Kamchatka Sanctuary. Another key part of the UNESCO World Heritage Site, this is a key area for land and marine mammals. 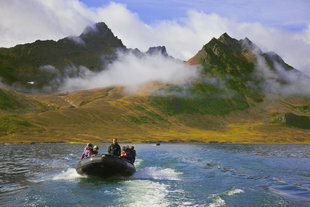 Nestled beneath towering volcanoes, the Kurilskoye Lake is home hundreds of Brown Bears which gather to feast on Asia's largest sock-eye salmon spawning. Between 1500 - 2000 sea otters call the reserve's coast home, and river otters, wolves, wolverines and mink are also found here. 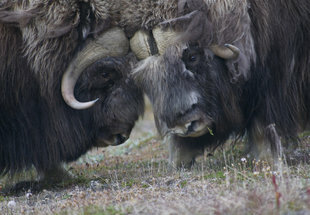 Snow (bighorn) sheep and sable antelope are also found in the reserve. 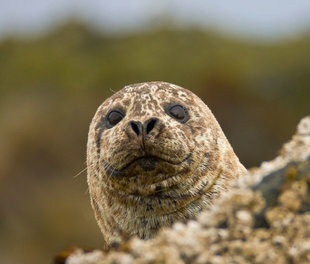 Other marine mammals include spotted seals and Steller's sealions. Whale species present along the coast include grey, minke, blue, fin whales and Orcas. 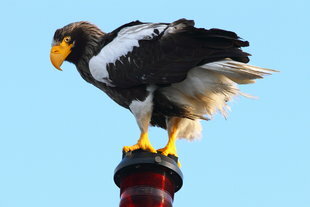 This region also boasts the densest recorded populations of Steller's Sea Eagles (300 - 700). Golden Eagles, white-tailed sea eagles, yellow-billed loons and white fronted goose are other rare species encountered in the reserve. 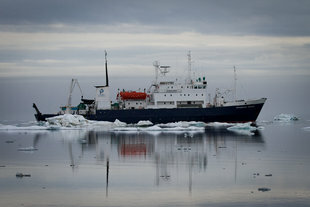 The seas around the Kamchatka Peninsula are one of the last refuges for the eastern population of Grey Whales, and Pacific Walrus are frequently observed in the north. 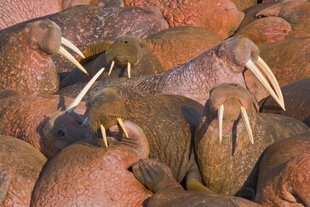 The seas are incredibly productive, partially due to upwellings from the Kuril trench, one of the deepest on earth, an oceanic abyss that drops to more than 10,500m in places. 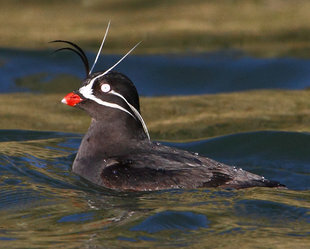 Seabirds such as all Horned Puffins, Long Billed Murrelets and Brunnichs Guillemots are all species that can be feeding on abundant fish populations along the coastline. In Kamchatka's northern regions, forests of birch, pine, ash and willow give way to harsh tundra and heath, with birds such ptarmigan present in a sub-arctic taiga environment. This is punctuated with fjords along the coastline, all adding to the diversity of a remarkable and little known wilderness peninsula.